This is a delightful watercolour and the image shown really does not do it justice. 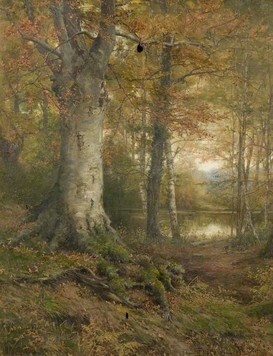 Ireland specialised in misty, wooded landscapes using a similar colour palette to the one seen here; a misty, autumnal woodland scene near a lake or stream. 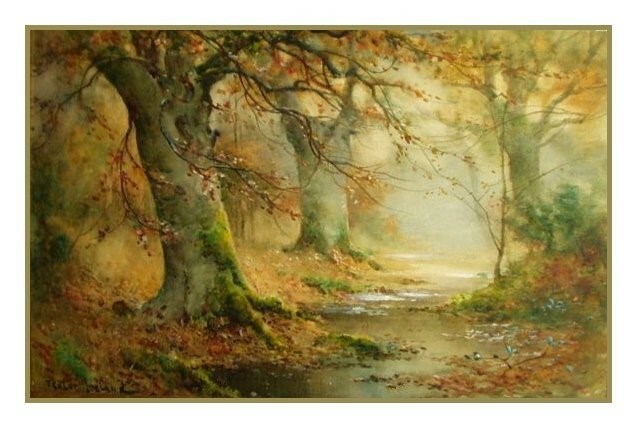 London born Thomas Tayler Ireland was a landscape artist who painted in both oils and watercolours, although mostly watercolours. 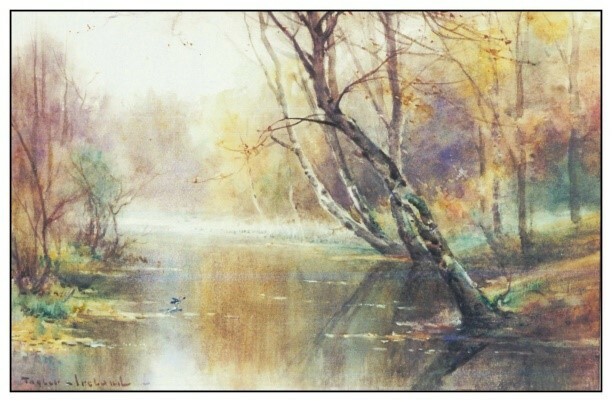 He exhibited at the principal London galleries, mainly at the Royal Academy, the Royal Institute of Painters in Watercolour and Suffolk Street. He was the son of Lowestoft born painter, Thomas Ireland, and painted in a similar style; although his father painted primarily in oils, and to a lesser extent in watercolours. His father often exhibited at the Royal Society of British Artists and the Royal Institute of Oil Painters. At the time of the 1901 census both father and son were shown as living at 14 Chalcot Crescent, London NW1. At that time Thomas Tayler was recorded as aged 26 and Thomas, his father, as aged 53, giving him a birth date c.1848. Panvertu is a registered trademark of Roliscon Ltd. Copyright © Roliscon Ltd 2003.